Shown at the April 1 meeting of the Berry Town Council are, from left: Councilwoman Mary Sue Lollar, Councilman Russell Madison and Councilman Calvin Madison. Not present at the meeting were councilmen Chris Rice and Troyce Townsel. 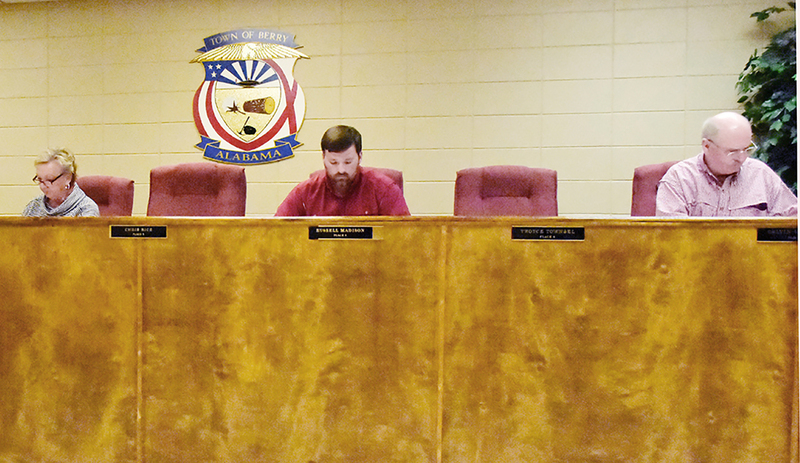 The Berry Town Council held its regularly scheduled monthly meeting at the Berry Town Hall on April 1. Councilman Troyce Townsel and Councilman Chris Rice were absent from the meeting with all other council members being present.